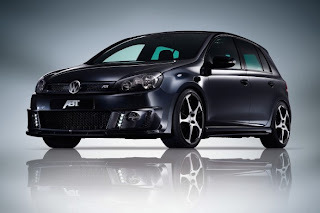 ABT Sportsline has unveiled their new tuning program for the new Golf GTD, the ABT Golf VI GTD. The ABT Golf VI GTD is based on the new Volkswagen Golf TDI which have improved both power and torque to give it 140kW (190hp) and maximum torque of 390Nm. The ABT Golf VI GTD diesel engine could reach 100 km/h in a 7.1 second with a top speed of 230 km/h.